Sohan Roy's debut movie 'Dam 999' which awaits release on Friday, November 25 gets warning from politicians of Tamilnadu. DMK, PMK, ADMK politicians came forward against the movie 'Dam999' and said it should be banned in India especially in Tamil Nadu. "The movie 'Dam999' will create unnecessary fear in people", T.R Balu, DMK Parliamentary party leader said. " As ' Dam 999' refers to Mullaperiyar, the clippings showing dam collapse, death of women and children are misleading." Mr.Balu said. DMK Mp's are getting ready arranging an immediate meeting with the Prime Minister of India to stop the movie from releasing. On Tuesday, MDMK men who were lead by party general secretary Mallai Sathya barged into the Prasad studio in Vadapalani and took away the film rolls kept for screening. 23 persons were including Mallai Sathya, were arrested afterwards. "Tamil Nadu supplies vegetables, milk, rice and meat to Kerala on a regular basis, the Kerala government remained ungrateful to all the help extended by its neighbour"- MDMK general secretary Vaiko said. “If the Indian government is interested in preserving the integrity of the nation, it should not allow the screening of the film in any part of the country,” Mr. Vaiko said. 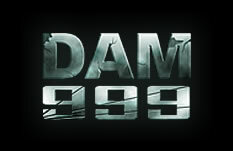 The controversy still going on, "Dam 999" will enter the Oscar libraray even before its theatrical release. 0 Response to "Dam 999 should be Banned: Tamil Nadu Politicians "